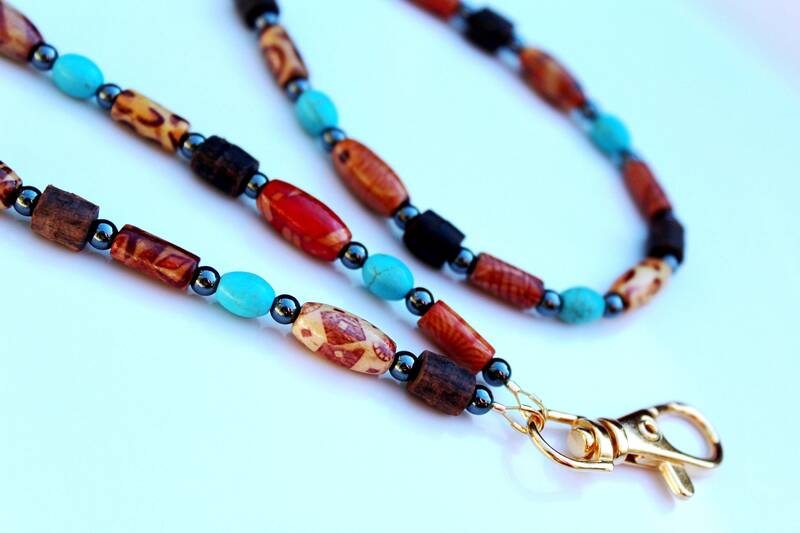 Enjoy some Southwestern style with this unique Id Holder Bead Lanyard. Step out of the norm with a piece that will make you unique. 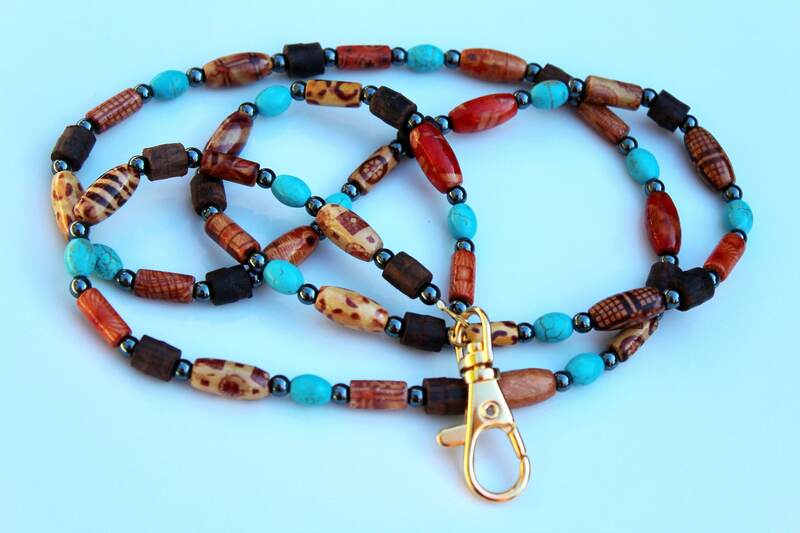 Browns, tans, blue, and red beads make up this very hip Id holder, whether it be for work, for school, or for both! 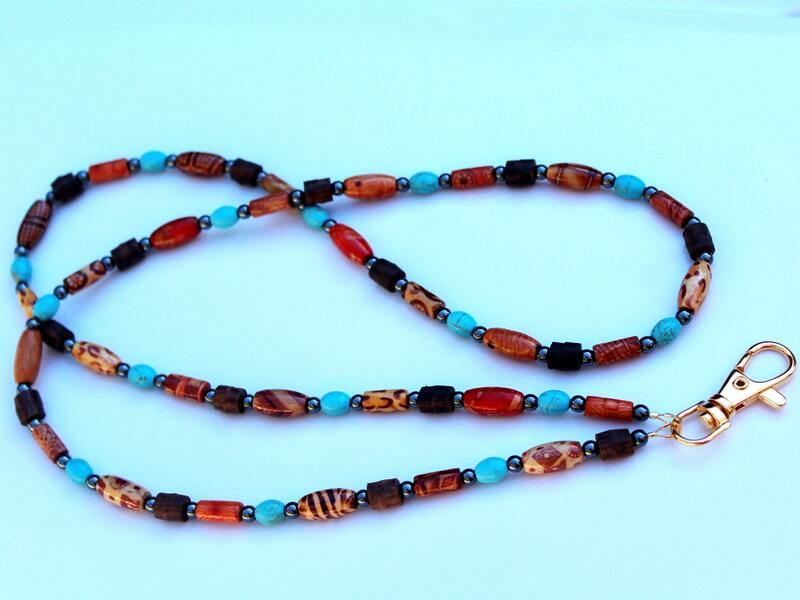 You'll certainly feel like you're wearing a necklace with this one! 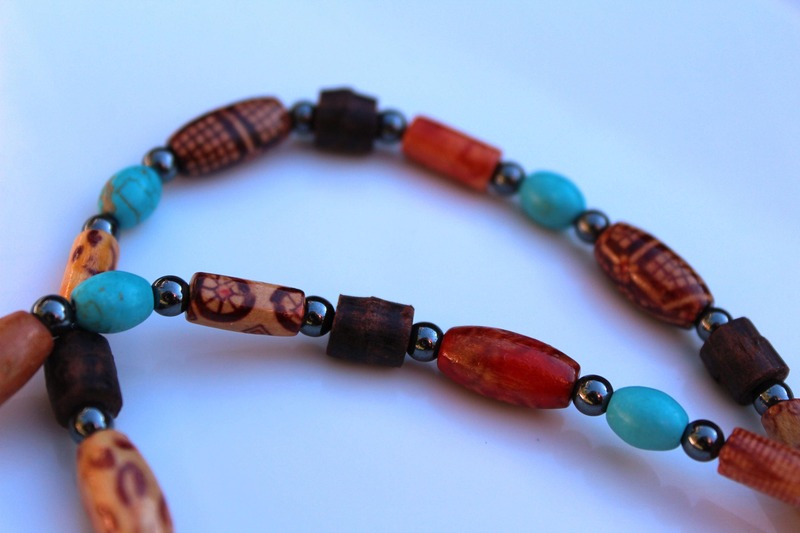 Painted wood beads are hand cut. They measure approximately 12x5mm and 15X7mm. The clasp pictured is shown in gold. If you'd prefer silver, just leave me a note when you purchase and I will use a silver clasp instead. The entire lanyard is 34 inches long. This lanyard is an original. It was designed and created by Michele of MichelesAManoDesigns.